Fridays @ 7pm - this October only! 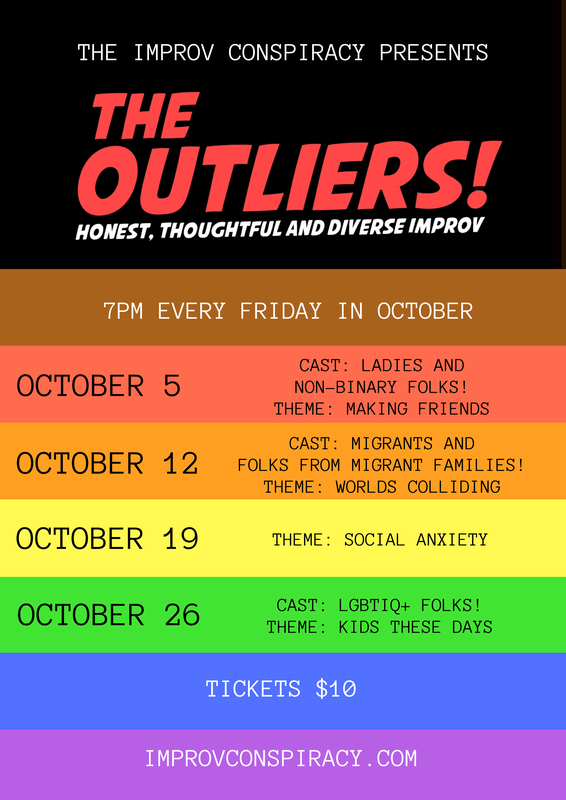 The Outliers is an improvised show in the Living Room format, performed by players with diverse ethnicities, religions, abilities, sexualities and genders (including, but not limited to people who are agender, genderqueer, gender fluid and trans). Join us for honest storytelling, in-depth conversations and smart improvised comedy. Unicorns and glitter are encouraged.